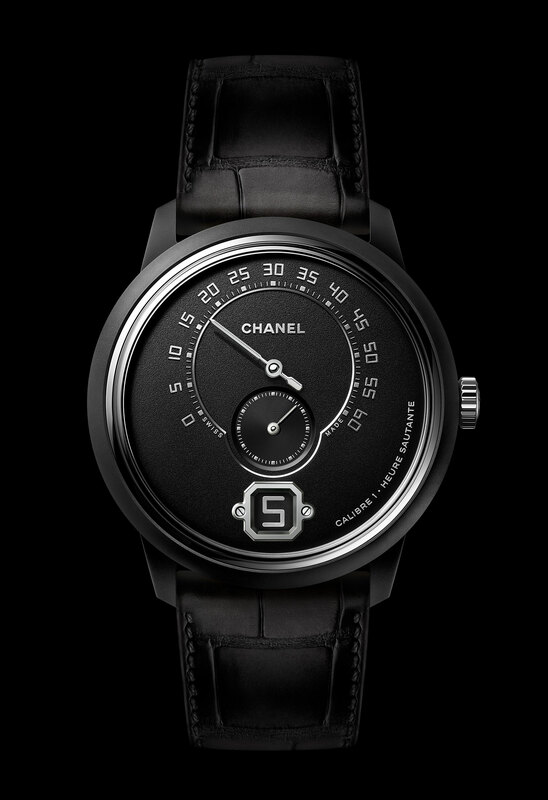 First introduced in 2016, the Monsieur was Chanel’s first watch designed for men from the ground up, elevated by an in-house movement developed with help from independent watchmaker Romain Gauthier. Simple but unusual in style, it’s a watch I rate highly, though the Monsieur is pricey. Now it’s available with a black ceramic case, presumably making it more affordable. 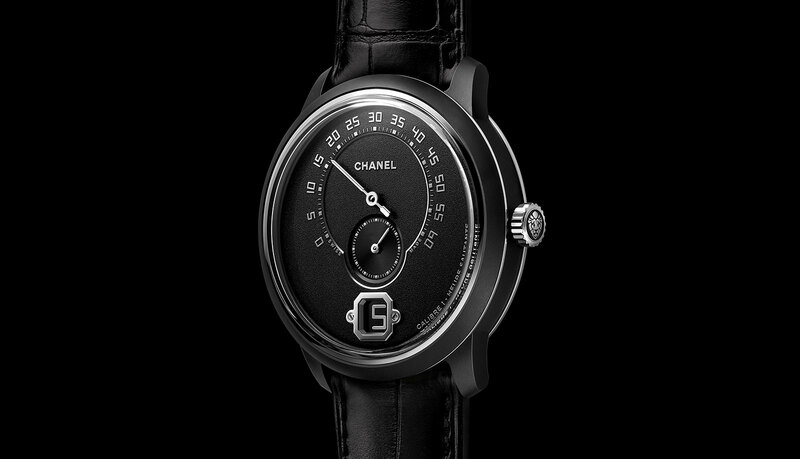 Slated to be officially launched at Baselworld 2019, the Monsieur Édition Noire has a 42mm, matte black ceramic case, along with a grained, matte black dial. All of the markings on the dial are raised and silvered. The look is monochromatic and sleek. Functionally it’s identical to the standard version, showing the minutes on a 240-degree retrograde scale and the jumping hours inside a window at six. 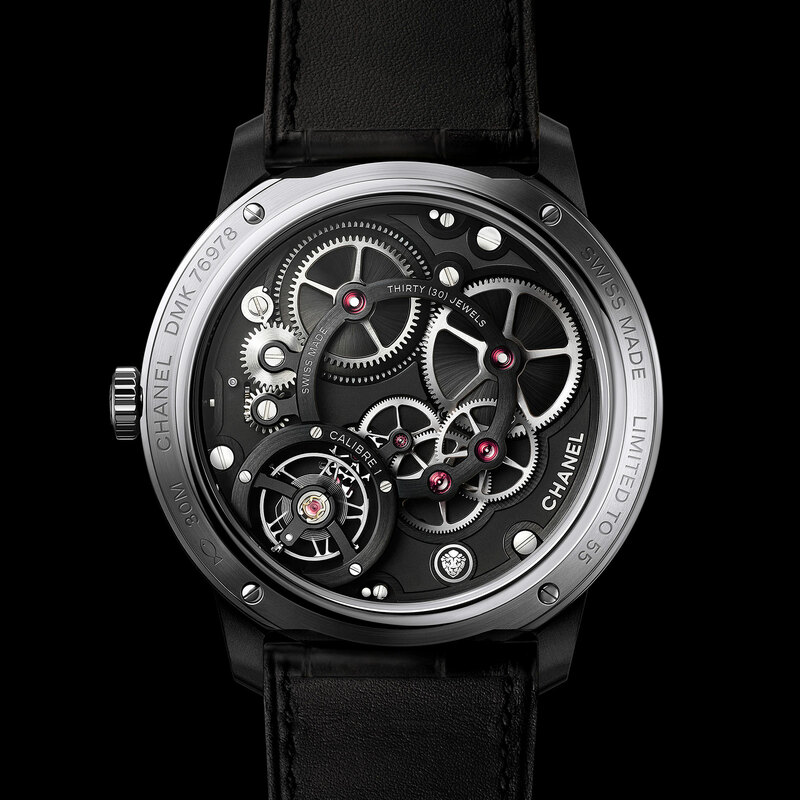 Inside is the Caliber 1, a hand-wound movement with twin barrels and a three-day, or 72-hour, power reserve. The Caliber 1 was designed with an open architecture, revealing the two barrels and wheel train, creating a repeating circle motif across the movement. 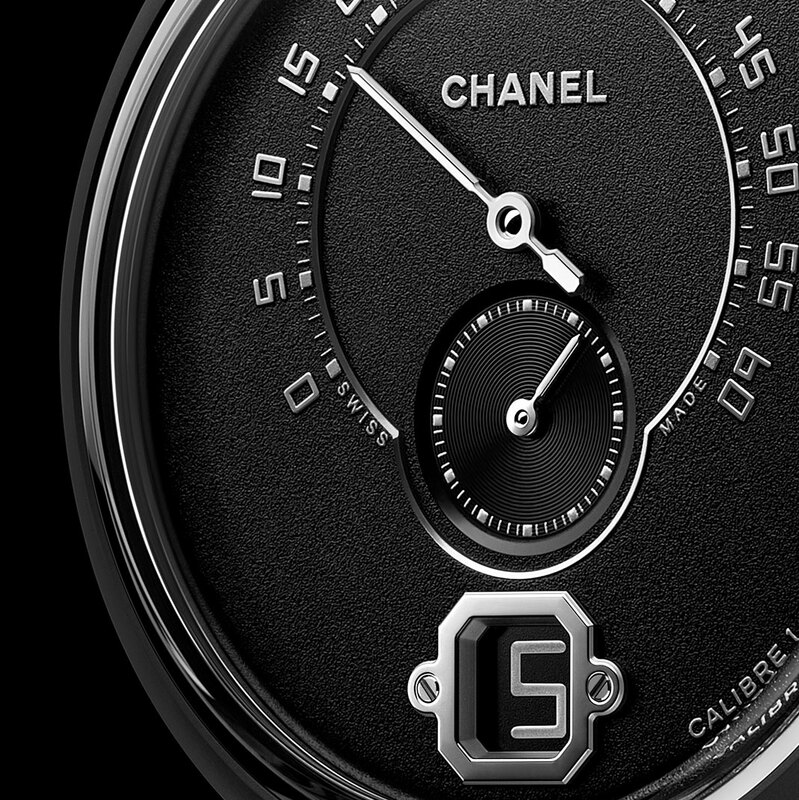 And the balance wheel is free-sprung with adjustable masses, and shaped like a star, one of the emblems of Chanel. The Monsieur Edition Noire is a limited edition of 55 watches, with delivery starting September 2019. It will cost €26,000 including 19% VAT. Update March 27, 2019: Price in euros added. Handsomely monochromatic in brushed and polished ceramic. The mechanical men's watch gets a handsome black enamel dial - and a much steeper price tag.